The BIPV market was rapidly growing in the last years, from 1.5 GW in 2014 to 2.3 GW in 2015 and the global BIPV market grew about 40%. 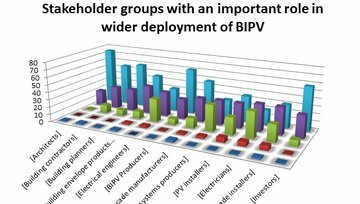 An outlook on the BIPV market estimates 4.8 GW for 2020 in Europe and 11.1 GW worldwide. 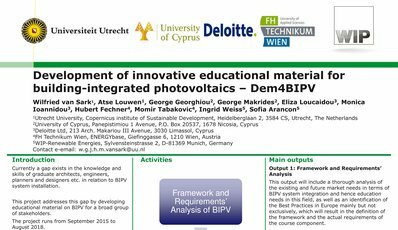 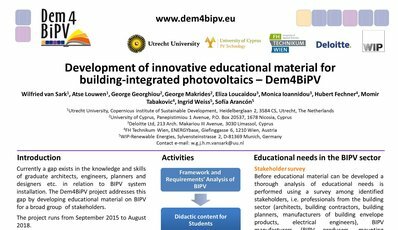 The new players on BIPV have to enhance their knowledge base and skills in relation to BIPV systems, primarily the architects, civil and electrical engineers along with mechanical and environmental engineers.